The Friends of Parkinson’s Park exists as a vehicle for local people to improve the Park in a way they see as relevant – within the bounds of the aim of a landscape park, the overall landscape plan, and the owners’ permission. Local people have many and varied skills and we want the Park to be a means for them to use their own particular skills to build a community asset. 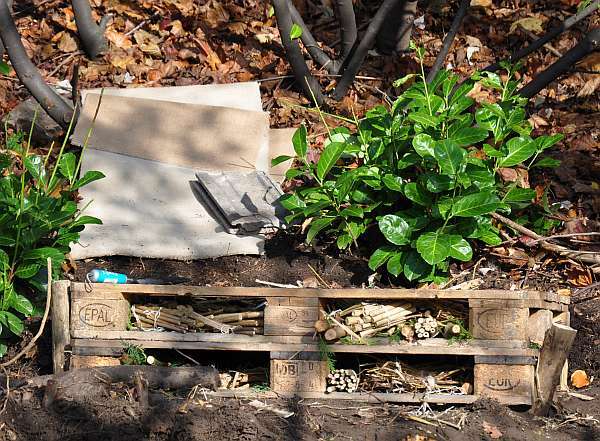 We were therefore more than delighted when Rob Turner, a student conservationist, approached us to ask if he could build a hibernaculum (a shelter or hotel for hibernating animals) in the top copse, and turn the area inside the hedge into a wildlife sanctuary. We had already got the copses earmarked for wildlife, but it seemed better to do that in a managed way, rather than in a ‘just leave it’ fashion. The other advantage is that the area can then be used for education on conservation. So, Rob, together with Andy Cheetham, Darren Shepherd and Josie Brooks – our wildlife/ecology/conservation team – will be starting the project by clearing the area, and building a hibernaculum, or even hibernacula for different types of animals eg insects, reptiles. If any other of the Friends would like to volunteer to join them, they will be starting at 10am – 12noon on Saturday 14th July, meet at the top copse. This entry was posted in Ecology, Friends. Bookmark the permalink.